A video of this year’s lecture is now available on Vimeo (Mitchell Lecture 2017). DVDs are also available. Please contact umgmc@maine.edu to request a DVD. The 21st century will see unprecedented transformations in human life and vast changes on planet Earth. Key among these are the problems of sustainability, but emerging technologies − especially the intersection of nano, bio, information and cognitive technologies − also have the potential to reshape human life. These challenges will require difficult decisions based on both science and our values. There seems to be a broad consensus that we should improve human well-being while protecting the environment, but research shows that there are many obstacles to good decision making by individuals, organizations and government. How can we do better? 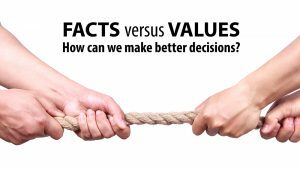 While the obstacles we face are formidable, research on decision making provides ideas on how we can move forward to make decisions that better reflect both the facts and our values. Thomas Dietz is a professor of Sociology and Environmental Science and Policy at Michigan State University (MSU). He holds a Ph.D. in ecology from the University of California, Davis. At MSU he was founding director of the Environmental Science and Policy Program and associate dean in the colleges of Social Science, Agriculture and Natural Resources and Natural Science, and assistant vice president for environmental research. At the National Research Council he has served on many panels including as chair of the U.S. National Research Council Committee on Human Dimensions of Global Change, the Panel on Public Participation in Environmental Assessment and Decision Making, and as vice chair of the Panel on Advancing the Science of Climate Change of the America’s Climate Choices study. Dietz is a Fellow of the American Association for the Advancement of Science, and has been awarded the Sustainability Science Award of the Ecological Society of America, the Distinguished Contribution Award of the American Sociological Association Section on Environment, Technology and Society, the Outstanding Publication Award, also from the American Sociological Association Section on Environment, Technology and Society, and the Gerald R. Young Book Award from the Society for Human Ecology. Dietz has also served as secretary of Section K (Social, Economic, and Political Sciences) of the American Association for the Advancement of Science and is the former president of the Society for Human Ecology. He has co-authored or co-edited eleven books and more than 100 papers and book chapters. 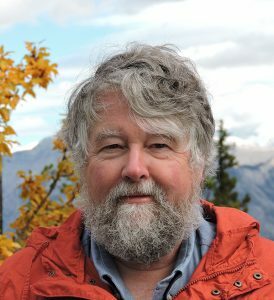 His current research examines the human driving forces of environmental change, environmental values and the interplay between science and democracy in environmental issues.